A reader recently wanted to know if I could corroborate my reflections on certain idioms (Lying in State: Changing Perceptions Change Language). Considering the half-digested information and deliberate hoaxes that abound on the web, the question was a valid one. I know just what kind of thing has made that reader suspicious. A year or so ago, a colleague of mine–aware of my areas of expertise–sent me an email she’d received, wanting to know if the “facts” presented in it were true. The text purported to “explain” the origin of various common expressions by linking them to supposed medieval activities. Some of the “explanations” sounded plausible, but had nothing to do with historical fact. As far as I know, the spurious email is still out there in cyberspace, spreading misinformation. 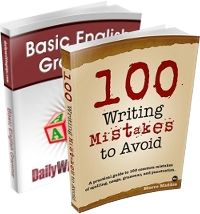 The articles I write for Daily Writing Tips are not made up out of whole cloth. Some of what I write is a matter of opinion and when it is, I say so. Whenever I offer information about grammar or diction, I consult standard works on the subject. When Daniel launched DWT earlier this summer, I wrote my first articles more or less blindly, with little notion of whom I was writing for. Thanks to readers’ comments, I now know that the site is attracting a wonderful cross-section of English speakers and writers who have questions and insights relating to every aspect of the language. Knowing that my articles are being read gives me great pleasure, but it also keeps me on my toes. I don’t want to be guilty of circulating faulty information if I can help it. 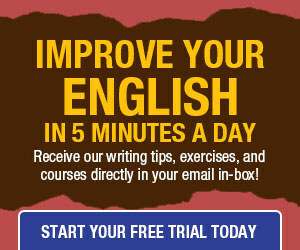 So far I’ve been relying on my considerable experience as a student and teacher of English. Sometimes I’ll throw in a literary example from memory, but if I have any doubts about the instructional content of an article, I check with acknowledged printed authorities. When I need more specialized information, I go to my nearby university library. TIP: Whether you’re gathering information for your latest writing project, or asking questions to improve your craft, it never hurts to double- and triple-check your sources. Thanks Maeve, I really appreciate the response. I’m mildly obsessed with the english language and I love these sorts of blogs. Keep up the good work! Sources, shmorses. When it comes to idiom, we prefer to coin our own. Frankly, some of my favorites are a bit long in the tooth. I don’t know what kind of desk references you already have, but for most things, a writer doesn’t need much more than a good dictionary and Strunk and White’s Elements of Style. Merriam Webster offers limited free on-line use and their Unabridged dictionary is available on line for a modest fee. It’s a great resource for etymology, pronunciation and American usage. Best of all, it’s searchable. If you’re like me and also want a dictionary you can hold in your hands, I’d recommend the latest Merriam Webster Collegiate Dictionary.